Tickets for the Skindred gig on 10th December are now sold out - Thanks for your support and we look forward to seeing you there at what should be one of the gigs of the year. 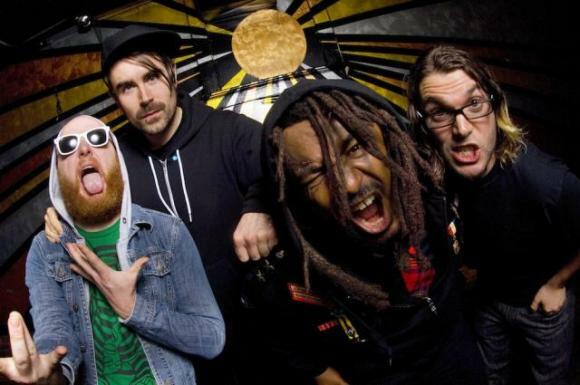 The gig, which takes place on the 10th December, is the second time Skindred have hit Guernsey shores in the last couple of years. Destroying the Earth Fair main stage in 2009, their visit this December is going to be a welcomed return! Please Be aware that Fermain Tavern is an OVER 18'S ONLY venue so do not purchase a ticket if you are under 18. ID will be checked on the door.